A good drink, is a homing device. At different times during my drinking life I have been loyal and true to various concoctions; the long lost Gin Gimlet of my own roaring twenties, the more recent Boulevardier, my on again off again sweetheart, the Manhattan. As a serial regular, I peruse the menu but ultimately never stray. Once I find my drink to adore, I continually return to it. for the last 8 months, it was my only. 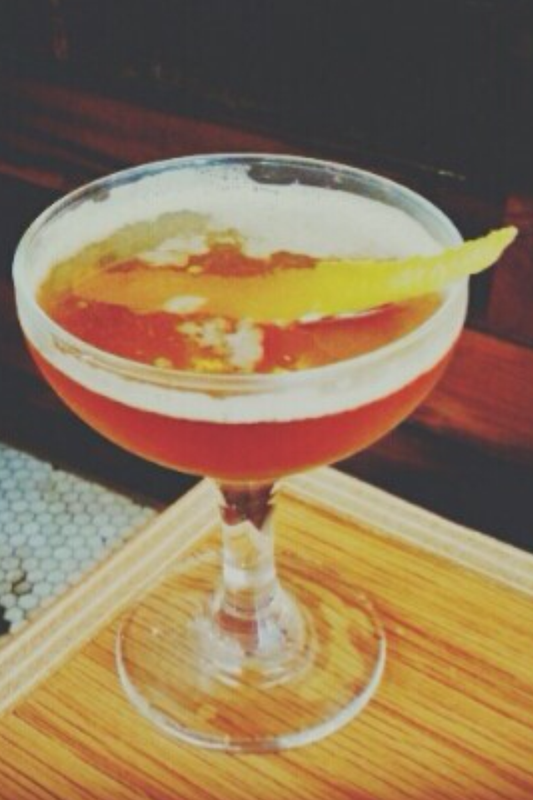 A stimulating and yet soothing mix of bourbon, sambuca, angostura, and orange liquor. Like an embrace from your grandfather, post cigar and Sen-Sen, the Lincoln was comforting and masculine. It was my leather easy chair. But change was in the air. Jeff and Beth, Pasture’s lovely bartenders had braced me for its eventual departure from the cocktail list, to make room for new exciting drinks, giving me ample time to get used to the idea of moving on. I smiled politely at them and imagined my future self simply continuing to order my beloved Lincoln, off menu. I hardly expected that their recent revamp of their cocktail list, would lead me to my new flame! Similar to the Lincoln, though decidedly less grandpa, the Remington feels like an old friend that I need to catch up with. It’s served neat and serious and has a “let’s get this thing started” quality (the Cocchi di Torino, perhaps?). Among the 5 new additions to the menu, the tart and vibrant tequila based Palmer also pitched some definite woo. You can acquaint yourself with the Remington and all of Pasture’s new cocktails here, and then mosey down to Pasture and taste for yourself. This entry was posted in Uncategorized and tagged Cocktails, Pasture, RVA, The palmer, The Remington. Bookmark the permalink.